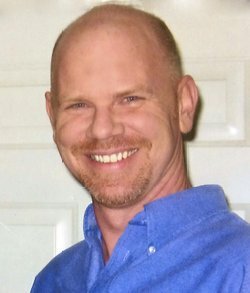 Hey gang – only four more days of the LEAP YEAR 2016 RAFFLECOPTER‬ ‪AUTHOR‬ GIVEAWAY‬ and we open it with a guest post from Author Mike Walters. And now without further ado – Author Mike Walters! Mike Walters and his debut novel, The Outlaw River Wilde, sprung from an idea while watching Ancient Aliens on the History channel. He intertwines his love of Native American culture and a passion for the Pacific Northwest, primarily his birth state of Oregon. Mike sat down one day and started writing. The characters and story were revealed each and every day he wrote. Mike is a Director of Marketing & Product at Auto-Graphics, Inc. based in Ontario, CA. That’s California, not Canada. A-G makes software for Libraries, primarily public. So on your visit to the library, when you sit down to search for a book this is the software that A-G makes. Mike learned photography as a freshman in high school and later took the passion and used it as a photographer in the United States Air Force. He loves to ride bicycles in SoCal year around, volunteers in Los Angeles at the Westside German Shepherd Rescue taking photos of the beautiful dogs, and has a passion for Micro-brews, particularly Porters and Stouts. You will frequently find him sampling, with his son Alexander, at Claremont Craft Ales, a personal favorite — or one of the many fine breweries in and around Claremont, CA. Mike is currently at work on the follow up to The Outlaw River Wilde, which will be titled – Still Wilde in the Outlaw River. The book should be out later this year or early 2016. The Pacific Northwest is Under Attack. Mitch Wilde never believed in aliens that is, until he was left with no other way to explain the strange events happening around his small Pacific Northwest home. With scattered appearances of ghostly Native American riders, a series of odd break-ins by unknown intruders, and hints that more could be coming, Mitch, along with his cantankerous old neighbor who is quickly becoming a new friend vows to unravel the mysteries and preserve the comfortable life he has worked so hard to build. When an unexplained attack leaves his long-time best friend acting quite unlike himself, Mitch knows he has to act fast or risk losing everything. The only question is: Does he have what it takes to conquer the mysterious, potentially powerful force once and for all? ˃˃˃ Ancient Alien IntrigueLong-time Pacific Northwest resident Mike Walters found his first love in dogs, and then quickly followed up with photography, bicycling, globetrotting, and library software development. He would finally find his true calling at the tender age of 45 while settling in to watch a program on the History channel. It was then that the concept for his debut novel, The Outlaw River Wilde was born. “What if we’re not alone in the universe?” he asks of readers who dare to venture into his Science Fiction Thriller world. “And what if our forgotten past was the link to our probable future?” Mike intertwines his love of Native American culture and a passion for the Pacific Northwest setting that he called home as a child in his original tale of intrigue and adventure guaranteed to keep readers guessing until the very last page. Of course, he continues to honor his first love of dogs by donating 10% of all proceeds to the Westside German Shepherd Rescue in Los Angeles where he also volunteers as a photographer. ˃˃˃ Ancient Alien IntrigueThe thing appeared to be about the size of a small car, just not as wide. It looked like liquid more than a solid form, but held its shape–kind of like Jell-O. The movement of the object wasn’t like any natural earth motion he’d ever seen.